Blackpool based Danbro Accountancy has a high octane licence to thrill at the London Business Show at the ExCel Arena May 15-16. 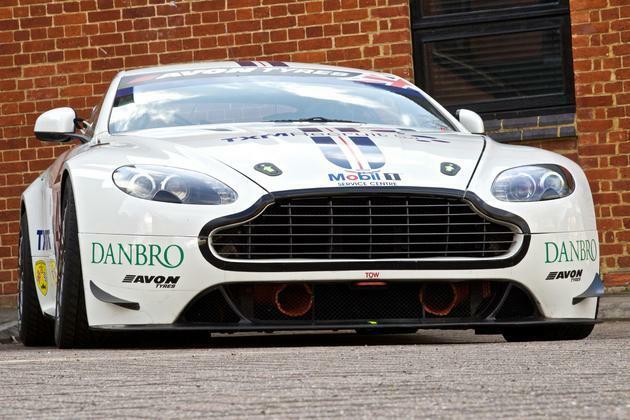 A car will be the star at the Danbro stand; the 500 brake HP Aston Martin Vantage blazed the trail at the start of the British GT4 Championships at Oulton Park over Easter weekend – which reaches up to 22m TV viewers globally and packs grandstands at each UK event. But first Danbro-sponsored race champ Andrew Jarman is out to rock the former indie racing oval known to fans as The Rock, Rockingham Speedway Corby on bank holiday Monday (May 5) before taking on Silverstone grand prix circuit on May 31/June 1. Danbro’s second year of sponsoring GT4 Aston Martin motorsports champion Jarman is already off to a flying start. Jarman and co-driver Devon Modell racked up first and third places leaving them ahead of the pack by three points after rounds one and two at Oulton. Jarman won the Aston Martin GT4 Challenge at his very first attempt last year, and picked up third in the Aston Martin Global Challenge. His partnership off track with Danbro, which provides specialist accountancy services to 6500 contractors and freelancers, is a winner too. “Danbro’s sponsorship takes the pressure off and helps me do what I love. It also gets Danbro talked about, builds brand awareness. Danbro has done a fantastic job for me – on my own account. Race drivers are self-employed essentially and need accounting support. The same goes for most race mechanics. It’s a great market for Danbro." The team’s Vantage GT4 was part of a strong entry for the class with three Aston Martins among other prestige racers hotly contesting. Jarman explains: “It’s a nice car to drive, a road car stripped apart and built as a race car. It’s able to hold its own against the big boys, and despite its size handles well. It’s designed for endurance racing. “Rockingham is two hours, Silverstone is three, and we hope to do the Dubai 24 hours this September. Races are physically demanding. It gets really hot in the car with a full three layer race suit and helmet on. I train four, five times a week. Driving is the easy bit. Behind the scenes there’s hospitality, networking, exhibitions, sponsorship, autograph signing – more." Jarman, 32, was 15 when he started racing. The London Business Show also marks the official launch of Danbro Business Limited, the new trading name for Daniels Brookes – and features a “Why Go Limited?” presentation by Danbro Business director Neil Ormesher.